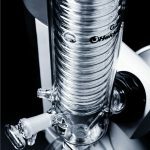 The PolyScience Rotary Evaporation System provides virtually unlimited possibilities to evaporate, distill, separate and purify liquids. 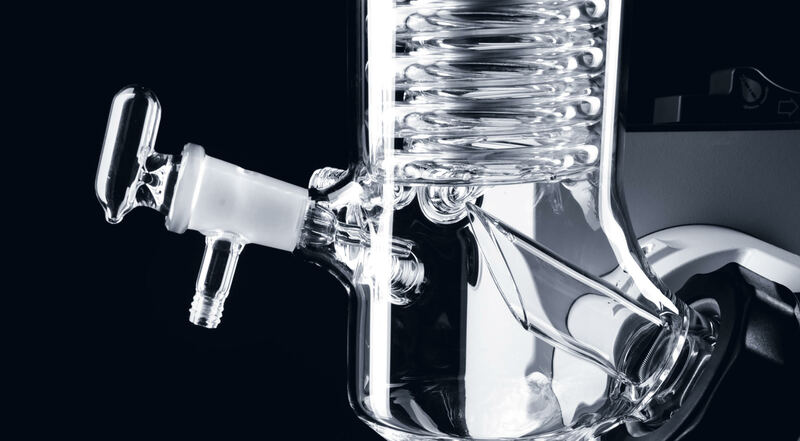 You can now easily concentrate, capture and infuse flavors in your own kitchen. 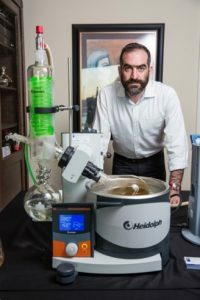 This kitchen breakthrough utilizes a vacuum pump to reduce atmospheric pressure allowing liquids to move to a vapor phase at low temperatures. 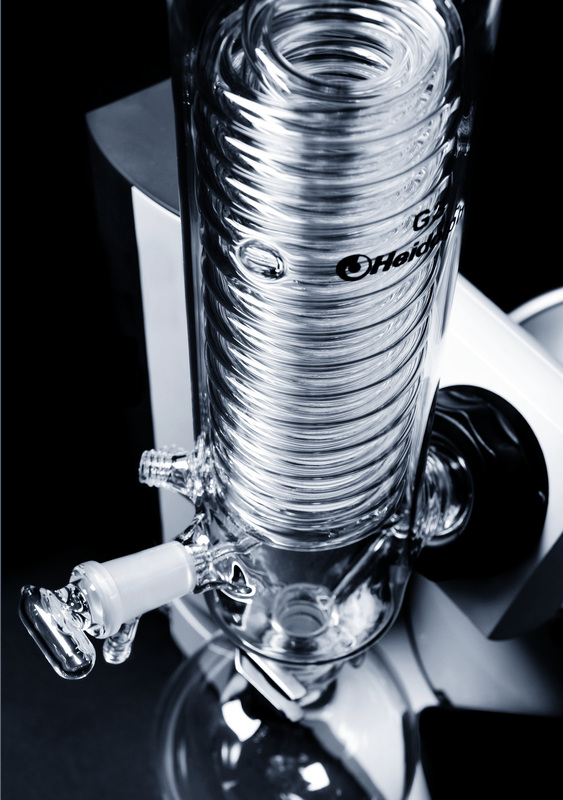 Simultaneously, a rotating flask creates greater surface area of thin film facilitating rapid evaporation. 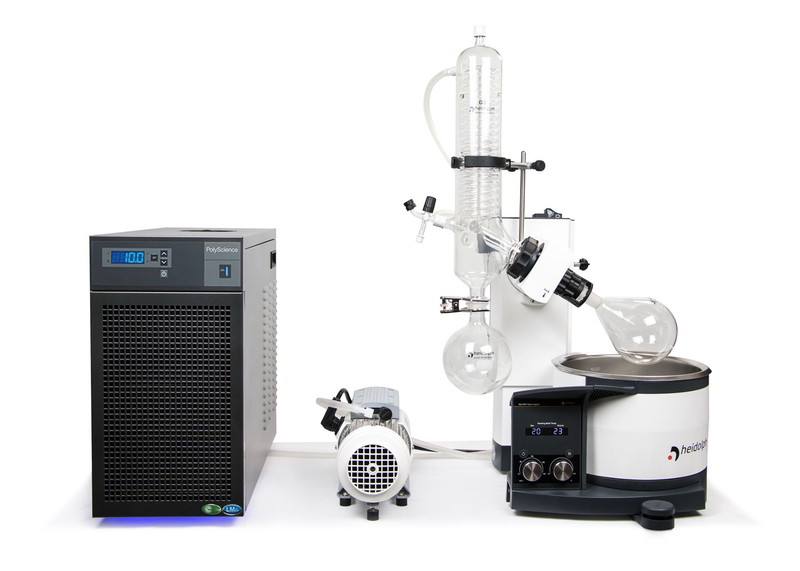 That vapor is then condensed by coils cooled by a recirculating chiller and collected in a receiving flask. 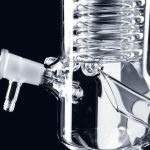 As a result, you can capture and preserve an amazing array of even highly volatile aromas and flavors to use in your next recipes. 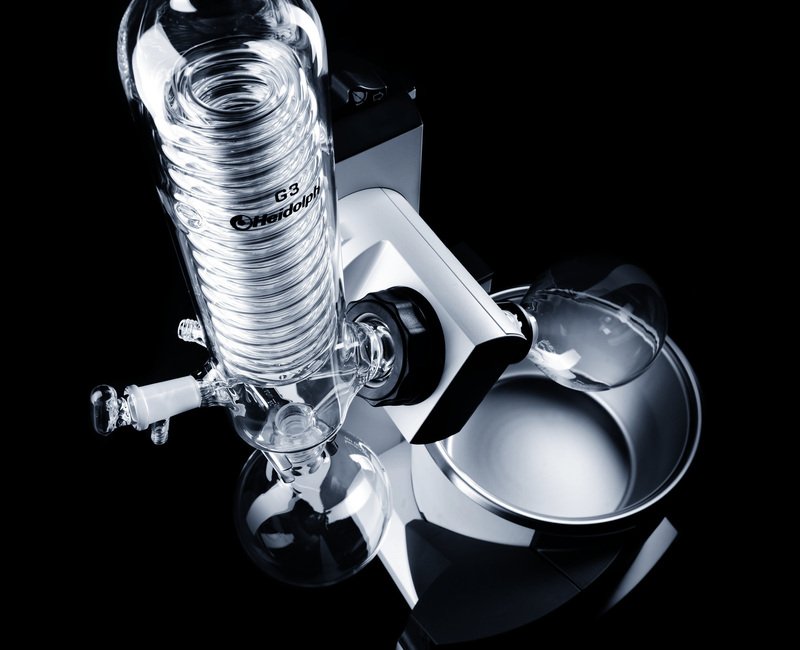 The Rotary Vacuum Evaporator has been customized for culinary applications. 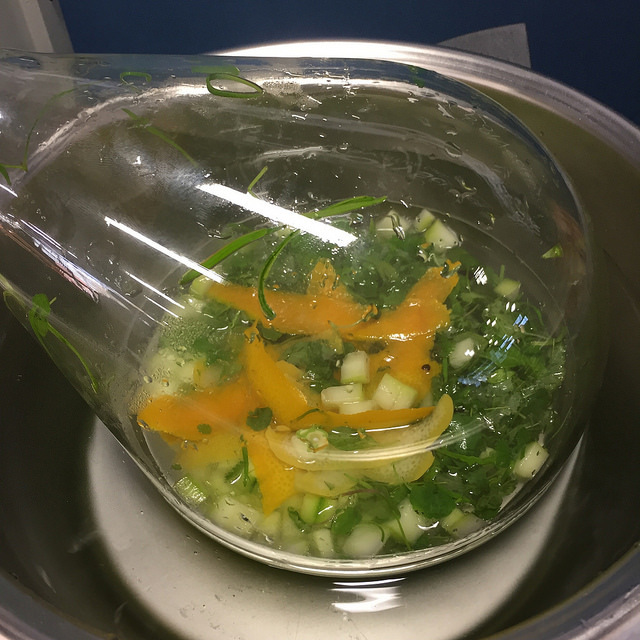 Want to add the fresh, concentrated essences of your favorite herbs or combine the flavors and aromas of fruits and vegetables? Anything is possible. While most chefs are familiar with regular distillation process, this technology adds another dimension: it works under reduced pressure, which lowers the boiling point to as low as 35°C. 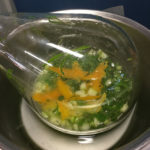 By remaining at such low temperatures, valuable flavor compounds are preserved and will add to complexity of the result. 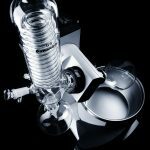 At Alinea Restaurant in Chicago the rotary evaporator is used to extract herb aromas like basil. Another innovative application by Alinea is to distill the pure chili’s essence. During that process the chemical capsaicin, responsible for the heat, is left behind. A unique flavor experience is guaranteed. 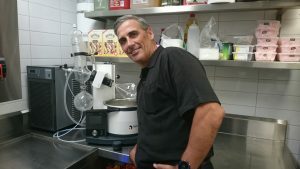 Tony Conigliaro, mixologist from The Drinks Factory, UK with the Polyscience Rotary Evaporator making magic together at Melbourne’s new Dinner by Heston. 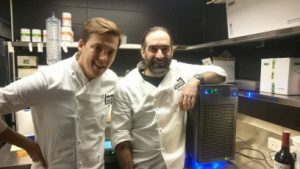 Tony Conigliaro and Max Venning from the Drinks Factory UK, loving their Polyscience LM6 chiller, at Dinner by Heston, Crown towers Melbourne.